Chain store proliferation has weakened local economies, eroded community character, and impoverished civic and cultural life. Moreover, consolidation has reduced competition and may harm consumers over the long-term. Contrary to conventional wisdom, the decline of independent businesses is not inevitable, nor is it simply the result of free market forces. Rather, public policy has played a major role, particularly through tax incentives and other development subsidies that give national chains a significant advantage. Meanwhile, a growing number of communities are taking a different approach. They are adopting land use rules that deter chain stores and actively encourage local ownership. Let me begin by reading something that Jane Jacobs wrote in her book, The Death and Life of Great American Cities, about the relationship between locally owned businesses and community. Community is one of those words so overused that we rarely pause to consider its meaning. For Jacobs, what constitutes community is not any one particular thing, but rather the many small interactions that occur in our everyday lives. “It grows,” she writes, “out of people stopping by the bar for a beer, getting advice from the grocer and giving advice to the newsstand man, comparing opinions with other customers at the bakery and nodding hello to the two boys drinking pop on the stoop . . . hearing about a job from the hardware man and borrowing a dollar from the druggist . . .
What Jacobs describes here could be an urban neighborhood or a small town. Its defining feature—and indeed the very foundation of this close-knit community—is a vibrant local retail economy. It is a place of small stores and sidewalks; a place where public and private space overlaps; and a place where we buy goods and services from businesses owned by our neighbors. Such places are increasingly rare. Small-scale, pedestrian streets are giving way to massive, impersonal shopping centers. Street life has suffered, as our daily errands revolve increasingly around stores accessible only by car. Locally owned businesses are disappearing, displaced by national chains that have limited ties and no long-term commitment to the community. Ifthe current trends continue, independent retailers might soon be a thing of the past. But, in the midst of this unprecedented expansion by national retail corporations, another trend is underway: a growing number of communities are rejecting chain stores. Last summer, residents of Ashland, Virginia mounted a spirited campaign to block a proposed Wal-Mart. In Octo ber, the Planning Commission voted unanimously to reject the store. In Chelsea, Michigan, residents organized a picnic to protest plans for a Rite Aid drugstore. The event drew a crowd of 1100 people. Rite Aid quickly backed down. Similar events are occurring across the country. Indeed,over the past two years, dozens, or perhaps hundreds, of neighborhood groups have sprung up to protect their homegrown businesses. In Lake Placid, New York, a group known as the Residents for Responsible Growth is working with neighboring towns to form a regional response to chain store expansion. In Flagstaff, Arizona, it was the arrival of a Barnes& Noble and a Home Depot that prompted residents to form the Friends of Flagstaff’s Future. 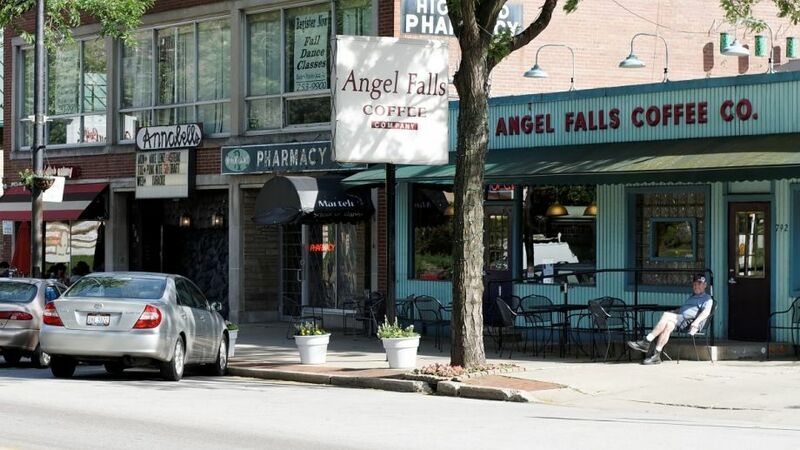 In Northfield, Minnesota, the Citizens for Responsible Development is working to defend the town’s historic Main Street and local shops. The debate over chain stores is often characterized as a struggle between our hearts and wallets. We may mourn the loss of the corner drugstore, a fixture in the neighborhood for three generations, or the local independent bookstore, but ultimately we believe that, as consumers, we are better off. We tend to take as self-evident the chain stores’ claims that they bring us lower prices and wider selection. Over the long-term, however, consumers are best served when there are numerous competitors in the market. The big retail corporations, like Home Depot, Toys R Us, and Best Buy, are known in the industry as”category killers.” The name is significant. These businesses do not intend to compete with local stores; they aim to be the only game in town. Typically, a chain store will enter a new market sporting deep discounts. Many chains employ loss leaders to attract customers. Wal-Mart has been known to sell gallons of milk for 25 cents or to price entire departments below its own acquisition costs. This sets up a battle that local merchants cannot win. If they don’t match the chain’s prices, they risk losing customers. If they do match the chain’s prices, they will lose money on every sale. While a chain can afford to operate a new outlet at a loss indefinitely, it’s only a matter of time before the local business will be forced to close. Consider the impact of this on book publishing. Borders Books and Barnes & Noble certainly stock a large number of titles under one roof, but these are virtually the same titles found in each of their 2,000 stores. Although local bookstores tend to be smaller, collectively they stock — and promote — far more titles than either of the chains. They take risks on unknown authors and small publishers. A number of best-selling writers, including Barbara Kingsolver and Amy Tan, contend that, without independent booksellers, their first books would have gone quietly out of print. Developers often present new chain store developments as major additions to the local economy. They note the growth in retail sales and shopping options. They tally up the number of new jobs and the added tax revenue that the development will bring. What is often overlooked is the other side of the balance sheet. Unlike new manufacturing facilities, which do create real economic growth, new retail stores simply shift consumer spending from one area of town to another. A new big box store can only be successful at the expense of existing businesses. A study in Iowa, for example, found that new Wal-Mart stores derive on average of 84 percent of their sales from existing businesses within the community. 5 Similar conclusions have been reached in studies of big box development in Massachusetts, Maine, Vermont, New York, California, and Virginia. What all of the studies find is that very little of the sales generated by a new retail store represent new retail spending. Instead these developments simply shift economic activity from one part of town to another. The end result is not economic development, but rather economic displacement. Trading locally owned businesses for chain stores also entails the loss of significant secondary economic benefits. Local stores keep profits circulating within the local economy. They also support a variety of other local businesses. They create opportunities for service providers, like accountants and printers. They do business with the community bank. They advertise through independent radio stations and other local media outlets. They purchase goods from local or regional distributors. In this way, a dollar spent at a locally owned businesses sends a ripple of economic benefits through the community. By contrast, chain stores typically centralize these functions at their head offices. They keep local investment and spending to a minimum. They bank with big national banks. They bypass local radio stations in favor of national advertising. In this way, much of a dollar spent at a chain store leaves the community immediately. Small,independent stores also create economic diversity and stability. Because they are locally owned, these stores are firmly rooted in the community. They are unlikely to move and will do their best to weather economic hard times. Chain stores, by contrast, tend to be fair-weather friends. They are highly mobile and will abandon a location if profit margins do not meet their expectations. The worst case scenario is when a big box store builds on the edge of town, destroys the central business district, and, then a few years later, decides that it too will close its doors. The town is left with a dead Main Street and nothing to show for it. Nationwide, there are more than 300 empty Wal-Marts. 8 It¹s very difficult to find a tenant for these single-purpose buildings and they often remain vacant for many years. A community that loses its local businesses to national chains also risks losing other economic development opportunities. New technologies have enabled many companies to operate virtually anywhere. When these companies consider location options, towns with a vibrant commercial core and a unique character are often at the top of the list. From an economic perspective, there is much to suggest that chain stores may not be our best value. But perhaps more significant than any of the economic considerations are the qualitative benefits of local ownership. Locally owned businesses build strong communities. They provide a foundation for the web of connections and trust that Jane Jacobs believed so essential to a healthy neighborhood. There are several reasons for this. The first is that independent stores tend to be located in humanly-scaled, pedestrian-oriented shopping districts, as opposed to the sprawling, isolated experience of a chain store parking lot. The second reason is that local stores create a sense of place and community identity. They reflect the local culture. They give neighborhoods their distinct flavor. They are often a source of community pride and an attraction to visitors. Chain stores, by contrast, are sapping communities of their character and individuality. Even the most famous American cities are losing their unique appeal. Kmart, Costco, and Home Depot are building in Manhattan. Fifth Avenue is home to Starbucks and The Gap. These same stores can be found on Michigan Avenue in Chicago, Market Street in San Francisco, and thousands of other locations worldwide. Because they live in the places where they do business, local merchants tend tobe far more committed to the community’s well-being and long-term stability than distant corporations. This commitment manifests itself in a variety of ways. In St. Paul, Minnesota, for example, the local food cooperative recently opened a new store in a low income neighborhood on a lot that had been vacant for years. As with many construction projects, the coop ran into higher than expected costs. Several independent merchants, including the local bookseller, stepped in and provided a sizable and much-needed loan. Meanwhile, Barnes & Noble and Borders Books, both of which operate stores in the city, were nowhere to be found. Finally, the shift from local to absentee-owned stores means that business decisions are no longer made locally by members of the community. Who decides whether to close a store in a distressed neighborhood, stock a controversial book, sell produce from local farms, pay a living wage, or contribute to a local charity? In the case of chain stores, these decisions occur in distant boardrooms, where the values of the local community carry little or no weight. There are tremendous benefits to choosing the latter path. Our ability to do so will depend not only on the decisions we make as consumers, but on the decisions we make as citizens. The actions of policymakers, and, in particular, planners, are critical to reviving the homegrown economy and ensuring that local businesses continue to be a vital part of our communities. Many contend that public policy should have no role in shaping the retail economy. This is, after all, a free market. But public policy is never neutral, and has, in fact, played a major role in the expansion of national chain stores. In many ways, public policy has undermined local retailers by giving large retail corporations unfair advantages. Examples can be found at all levels of government. Congress, for instance, has exempted retailers like Amazon.com and Barnes & Noble from collecting sales tax on internet sales. This effectively gives these companies a 6 to 8 percent price advantage over local stores. Similar examples can be found all over the country. Even if your hometown does not provide such subsidies, the chains that expand there are able to do so in part because of public funding they’ve received elsewhere. Rarely are tax breaks and subsidies given to locally owned businesses. Instead, they often see their tax dollars used to subsidize a competitor. Under these circumstances, even the most competitive, efficient, and popular independent businesses are struggling to stay afloat. What these examples make clear is that the loss of independent businesses is not inevitable. Rather than undermining the local economy, many communities are taking a different approach. They have made sustaining humanly scaled, unique homegrown businesses a primary focus of planning and economic development decisions. By designing policies that put community first, local businesses can once again become a key component in a dynamic retail economy and a vibrant community. 1. Jane Jacobs, The Death and Life of Great American Cities, New York: Random House, 1961. 2. National Community Pharmacists Association; American Booksellers Association; Ace Hardware Corporation; Video Software Dealers Association; “Five Hundred Largest U.S. Corporations,” Fortune, April 2000. 3. Elizabeth Humstone and Thomas Muller, “Impact of Wal-Mart on Northwestern Vermont,” prepared for the Preservation Trust of Vermont, the Vermont Natural Resources Council, and Williston Citizens for Responsible Growth, 1995; Chris Rouch, “Home Depot using predatory pricing tactics, critics say,” Atlanta Journal & Constitution, March 18, 1995, p. 1B. 4. Lionel Diaz, Senior Vice President, Manufacturers’ Agents National Association, Testimony before the Committee on Small Business, U.S. House of Representatives, August 10, 1994. 5. Thomas Muller and Elizabeth Humstone, “What Happened When Wal-Mart Came to Town? A Report on Three Iowa Communities with a Statistical Analysis of Seven Iowa Counties,” Washington: National Trust for Historic Preservation, 1996. 6. Land Use, Inc. and RKG Associates, “Greenfield, Massachusetts: Fiscal and Economic Impact Assessment of the Proposed Wal-Mart Development,” 1993. 7. Elizabeth Humstone and Thomas Muller, “Impact of Wal-Mart on Northwestern Vermont,” prepared for the Preservation Trust of Vermont, the Vermont Natural Resources Council, and Williston Citizens for Responsible Growth, 1995. 8. “The Portable Wal-Mart,” Sprawl-Busters Alert, April 1999. 9. Better Models for Chain Stores, Washington: National Trust for Historic Preservation, 2000; Suzi Parker, “On Main Street America, it’s charm versus chains,” The Christian Science Monitor, July 19, 1999. 10. Patricia A. Frishkoff and Alicja M. Kostecka, “Business Contributions to Community Service,” U.S. Small Business Administration, 1991. 11. Quoted in Michael Sandel, Democracy’s Discontent: America in Search of a Public Philosophy, Cambridge: Harvard University, 1996, p. 243. 12.“Wisconsin’s Tax Increment Finance Law: Lending a Hand to Blighted Areas or Turning Cornfields into Parking Lots?” 1,000 Friends of Wisconsin, October 1999; Douglas P. Shuit, “The Retail Wags the Dog: As cities vie for the big sales tax producers that can help keep budgets afloat, legislation is being considered to save them from themselves,” Los Angeles Times, July 17, 1998, p. B2; Paul Owers, “Walgreen Incentives Could Top $4 Million,” The Palm Beach Post, January 21, 2000, p. 1D. 13. Tom Barnes, “Eminent Domain Debate Heats Up,” Pittsburgh Post-Gazette, March 2, 2000, p. B1. Stacy Mitchell is a researcher for the Institute for Local Self-Reliance (ILSR), a national nonprofit organization advancing community-oriented economic development through research and educational activities.